• For the Athlete: The Armitron Men’s Sport Camouflage Military Green Resin Digital Chronograph Watch is ideal for everyday casual wear and for any workout. Its features include lap time, an alarm, a countdown timer, dual time, and military time, and it is water resistant to 330 feet! Available on Armitron.com for $35. • For the Dapper Man: The Armitron Men’s Two-Tone Wristwatch is sophisticated and sleek, easy to transition from the office to wherever the night takes him. Available on Armitron.com for $105. 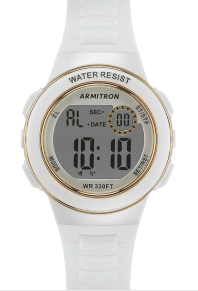 • For the Fitness Guru: The Armitron Women’s Sport Chronograph White Resin Gold Accented Strap Watch is stylish and up for any challenge. 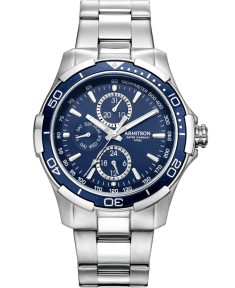 With a silicon strap and chronograph with the date, military time and a countdown timer, this watch is great to wear from the gym to the spa or to the mall. Available on Armitron.com for $30. • For the Fashionista: The Armitron Women’s Rose Gold Tone Watch with Blush Ceramic Bracelet is sleek enough to transition from working around the office to a night out on the town. With a diamond at the 12 o’clock hour and rose gold-tone face and band, this watch exudes stylish sophistication. Available on Armitron.com for $95. 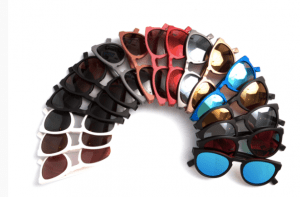 REKS™ Optics has just made holiday gift-giving a whole lot easier with its innovative and unbreakable line of sunglasses. Designed for athletes, fashion and leisure wear, REKS™ pairs its unbreakable frame technology with high-quality polycarbonate polarized lenses that are hydrophobic (water repellent) and shatter and scratch resistant , making them an ideal stocking-stuffer. Affordably priced at $60 and under, REKS™ sunglasses are made with ultra-light hardware materials for superior comfort even when worn under a helmet or in tough sporting conditions. Whether a gift for someone who will wear them on the slopes, fairways, in the sand or just strolling the streets, REKS™ Optics is the perfect gift. Sturdy, lightweight, and unbreakable, REKS™ sunglasses stay true to their comfort and form so no need to worry about dropping sunglasses, stepping on them or tossing them into a backpack, gym or travel bag. REKS™ sunglasses, available in an endless array of festive and fashionable colors, are available in six iconic frame styles including matte, gloss and Soft Touch™. The three lens options offer a multitude of stylish colors including classic and mirror finishes.